This will be the only non-moving related purchase I will allow myself should I come across it. I can already tell I will love it FOREVER. Did you check out the blazer they did too? It's making me totally cross-eyed. WANT. 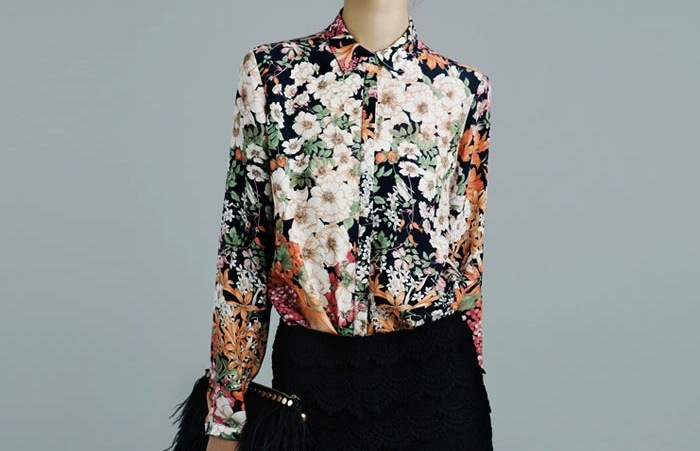 This may as well just be the most perfect floral print I have ever seen. EVER.